Size [inches] 6-13 4-6 4-5 3.75 - 4.5 inches tall. Holds 9 - 12 oz. weight without packing materials 3 lb. 8 oz. 6 oz. 9 oz. ** Please allow 6 - 10 business days painting/drying time [but often as soon as 4 - 5 days] for painting and personalization. Standard USPS shipping then takes 2 - 5 days. We can ship via expedited USPS postal delivery [ additional charges apply ] ** Contact us if you require the coconut expedited, as we can rearrange the queue putting you in the front of the pack. Need it faster? Leave the design code blank when ordering. Note you'd like it shipped out quickly in the comments section. We almost always stock pre-painted designs that can ship out the next business day. 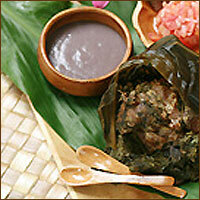 All products except the whole coconut are fairly uniform in finish and texture. Whole coconuts are natural products. They have at least one good side and we use that side for painting. The other sides may have cracks or variances in texture and color. They are full of character! The whole coconut is the only one that could change over time. All other products will remain as they are now for your lifetime and longer. For invitations, incentives or sales promotions we suggest the hollow coconuts, because they are very uniform, have a long shelf life, can be displayed on a desk and are inexpensive to ship. 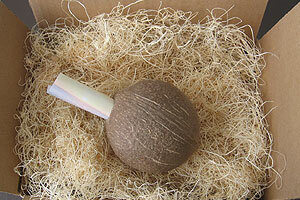 However, the unique novelty of getting a real whole coconut in the mail is totally fun. 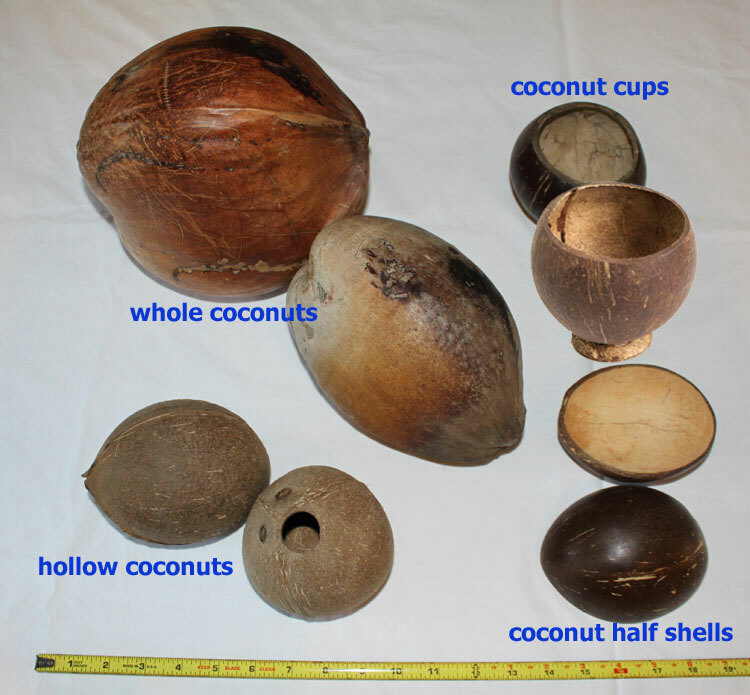 The downfalls of the whole coconuts is the huge variation in smoothness, weight, size and color and the fact that they can continue to change throughout their life cycle. Can you send a coconut in the mail? Yes! Shipping prices are calculated in the shopping cart and range depending on weight and US destination. You can quickly get a shipping quote by adding an item to your cart, click the VIEW SHIPPING COSTS link, then enter your zip code. Products ship from Ohio. 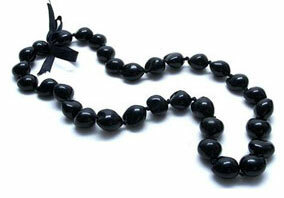 Please allow 2 - 5 days for shipping [depending on the destination] in addition to production time. USPS guarantees delivery times only with the EXPRESS MAIL option. Priority Mail option does not guarantee delivery times. Please note that for heavier packages, we may ship via UPS Ground. Multiple orders to the same address will ship together in the same container. Blank/unpainted products ship within 3 business days after receipt of order. 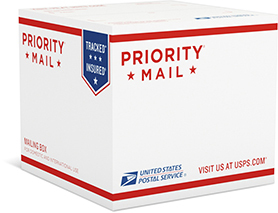 Expedited USPS shipping service is available and additional charges apply. Invoices are not included with coconut orders. You will receive an email confirmation and a receipt. 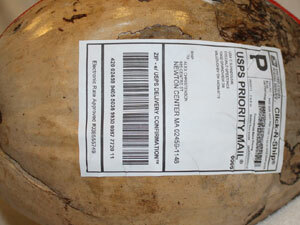 Whole Coconuts can be shipped without a box to US destinations via USPS. One side of the coconut is reserved for the addressing information. Even though we apply two coats of protective clear spray, coconuts are bound to get a little dinged up in transit if shipped without a box. Per customs, whole size coconuts cannot leave the US. All other items can ship internationally. Per postal regulations, international orders must be packed in boxes. Excelsior packing material is available as shown in the photo. The default packing material is newspaper. We're all about recycling here! 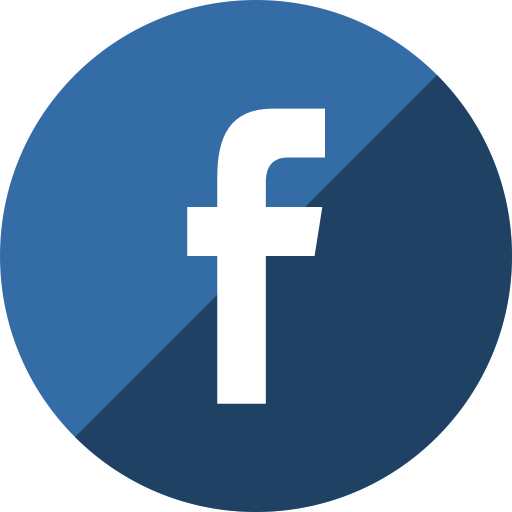 Feel free to send us additional materials to enclose in your boxes. Get your coconuts today. No one throws away a coconut.